The word prodigal means 'wasted'. Like the younger son in Jesus' parable, many of our loved ones are wasting their gifts and lives. This book helps you to love the prodigals in your life, whatever form they take: embarrassing, intellectual, lukewarm, or religious. 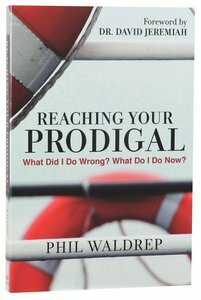 Waldrep is the President and Founder of Phil Waldrep Ministries, an organization committed to evangelism and discipleship targeting youth, senior adults, men and women.